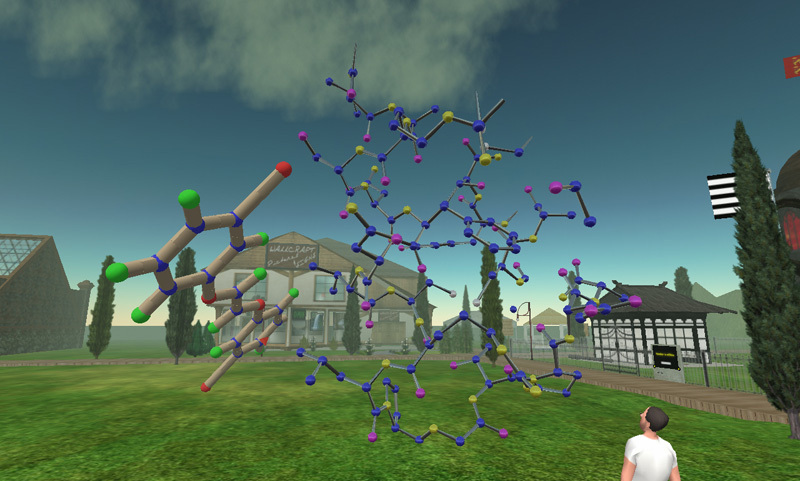 Evaluating Second Life as a tool for collaborative scientific visualisation. 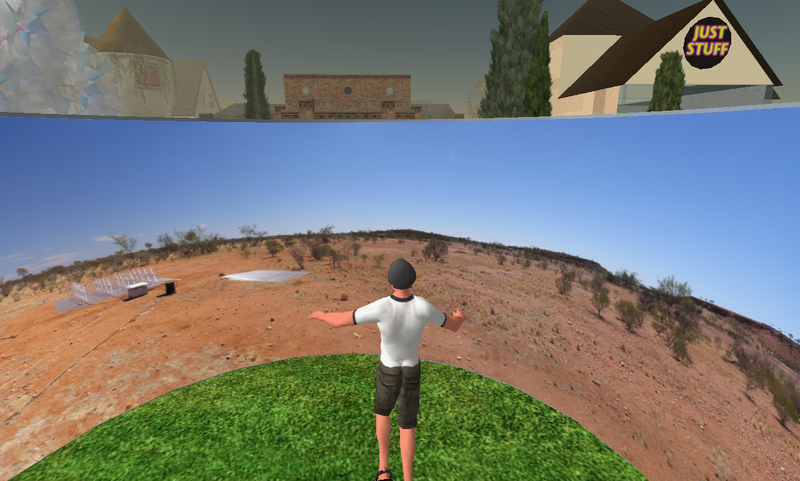 Abstract: This paper explores the potential of using the online digital world Second Life as a scientific visualisation tool, in particular, for remote collaborative exploration of scientific datasets. 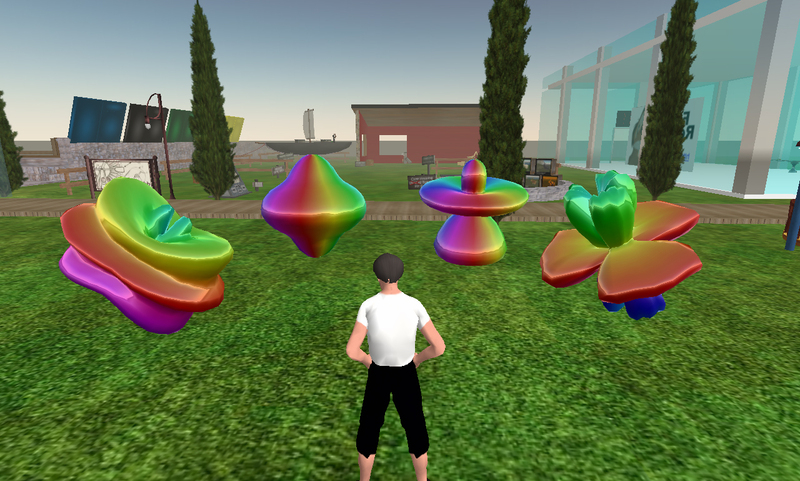 Second Life at its core provides a means whereby multiple remote participants can engage with 3D geometry within a virtual environment. It has been chosen for this evaluation for a number of reasons, these include the easy to learn user interface, its relatively widespread uptake, the availability of the player on the three main computer platforms, its non-aggressive social networking foundation, and the scripting capability. This paper will outline the desirable characteristics expected of any online collaborative tool in science research and will discuss, through examples, the extent to which Second Life meets those expectations. Keywords: Scientific visualisation, game engine, multi-player, immersion, Second Life. Figure 1. 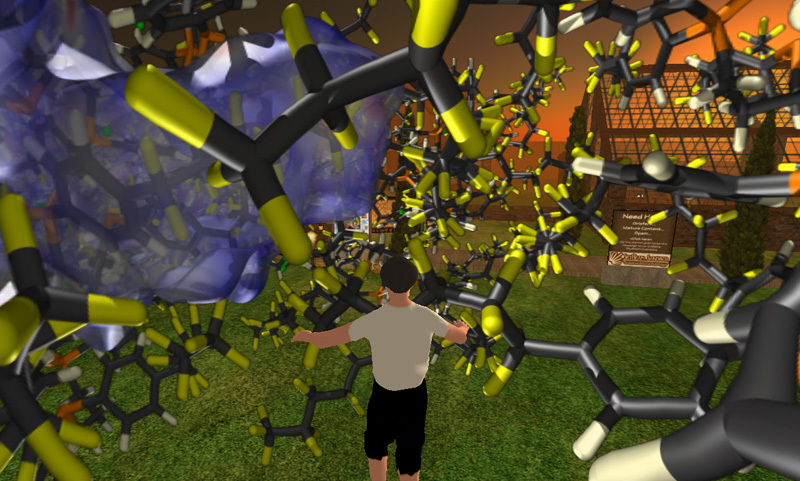 Representation of 3D molecules in Second Life, JAYFEV strand (left) and Aspirin (right). Figure 2. Volume visualisation of helix wave formation in fluid flow. Figure 3. Representation of solutions to the Laplace equations in spherical coordinates. Figure 4. Preprocessed spherical projections from inside a crystal including the Hershfield surface. Figure 5. Virtual environment, on-site at the Wide Field Array telescope site in Western Australia.